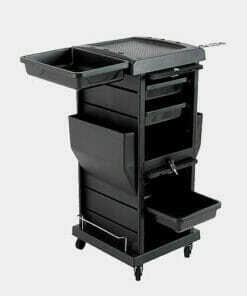 5 Drawers with one locking compartment. 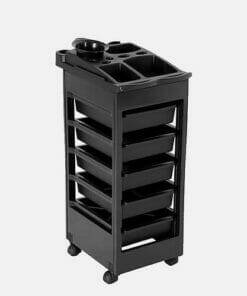 It also has a tint bowl holder and a rubber castor wheel base. 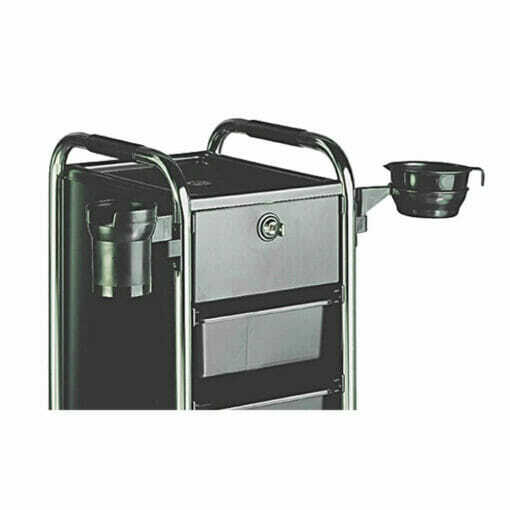 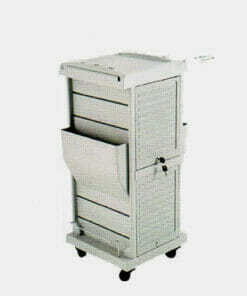 The Efalock Piccolo 2002 Safe Trolley has 5 Drawers with one locking compartment. 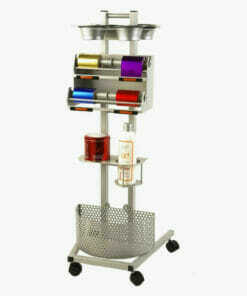 It also features a tint bowl holder and a brush holder. 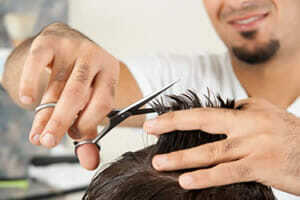 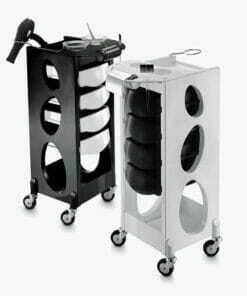 It comes on rubber anti-clog wheels making it quiet and easy to maneuver around your salon. 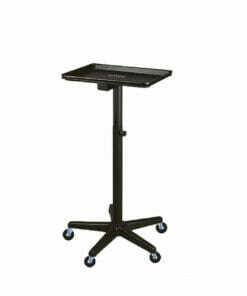 Dimensions: Height 88cm, Width 29cm, Depth 35cm. 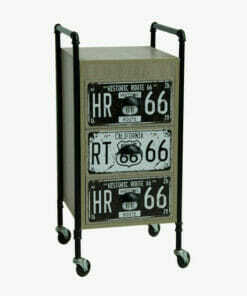 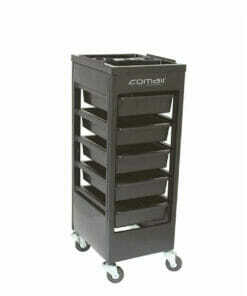 Salon trolley in black with accessory top and 5 spacious drawers for equipment and product. 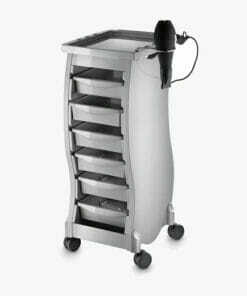 Contemporary salon trolley with a unique curve design. Modern salon trolley bearing a unique design.